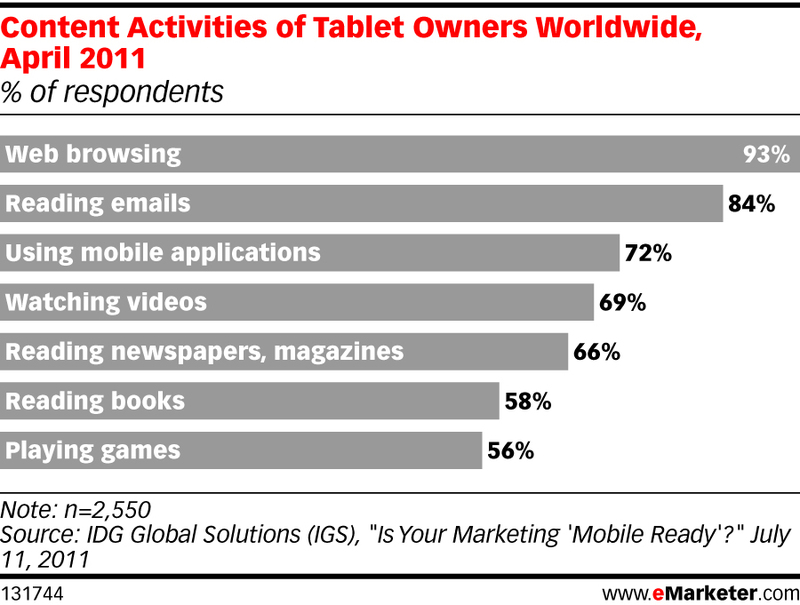 What Activities are People Doing on Their Tablets? As with the desktop, laptop, and smartphone web browsing is the number one activity that tablet owners do followed closely by email. I think video will take the number three spot in a few more months.